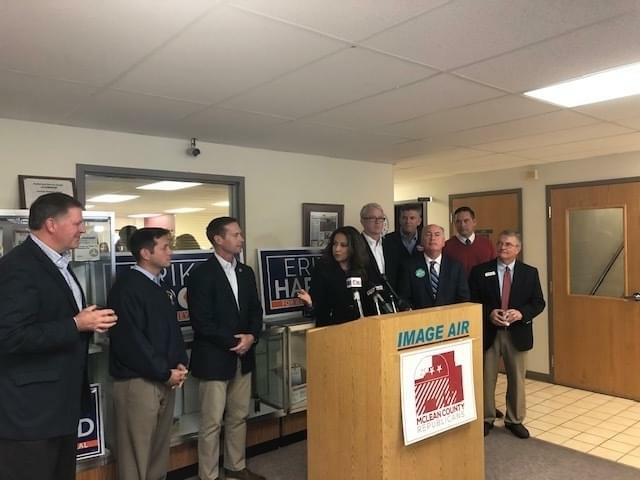 BLOOMINGTON – Illinois Republicans are ramping up the efforts for Tuesday’s midterm election, especially for Attorney General candidate Erika Harold. A “Get Out The Vote” rally held Monday at Image Air in Bloomington highlighted the AG race. State Senator Jason Barickman said it should be close. “The Chicago Democrats are pushing, they just put over $1 millions dollars in her opponents campaign in just the last few days…this election is going to be incredibly close,” said Barickman. 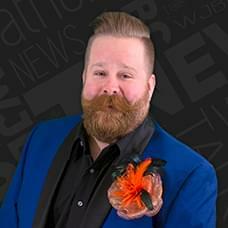 Barickman is referring to a contribution made by House Speaker Michael Madigan to Democratic AG candidate Kwame Raoul. Harold said the contribution could show voters a desperate Democratic side. “My hunch is that after people see that my opponent received $1 million dollars from Speaker Madigan on Friday, they will know which one of us has the courage to be independent,” said Harold. Other Republican leaders at Monday’s rally included Senate Leader Bill Brady, House Leader Jim Durkin, and Congressman Rodney Davis, who faces Democratic candidate Betsy Dirksen Londrigan in the 13th Congressional District.